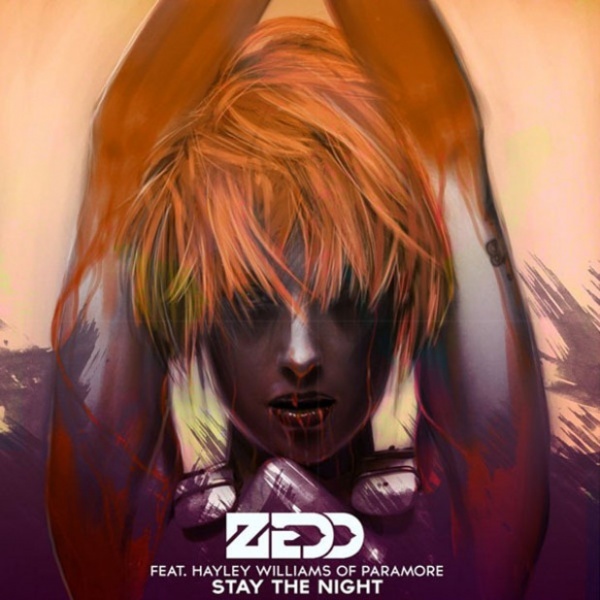 So Many Feels With Zedd's Massive Collaboration With Paramore's Hayley Williams: "Stay The Night"
Comments Off on So Many Feels With Zedd's Massive Collaboration With Paramore's Hayley Williams: "Stay The Night"
Serving as a fantastic third piece to the trinity of skyscraper-sized dance-pop anthems Zedd’s gifted to the music world in the past year, Zedd’s “Stay The Night” crash-landed in digital retailers earlier this morning. This time the king of “Clarity” and the sultan of “Spectrum” teams up with punk-pop-turned-indie-rock chanteuse Hayley Williams (frontwoman for top 40 act Paramore) for a club-crushing anthem that’s surging with emotion and purpose. Hayley takes slow and determined steps in a dance of lust and longing, attempting to accept this post-breakup one night stand as an emotionless fling and not a final, desperate act of love. Bittersweet and beautiful, her words ache as she layers the refrain over the frothy build of synthesizers, tipping into a pit of sweltering synth blasts and drums that hit like discarded clothes, tears and dignity on the bedroom floor. Indeed, at the end of the song, her question becomes more of a plea, and this party anthem reveals itself as more of a sweet and sad ballad of lingering adoration and affection.